When you hear the words National Health Service (NHS) what springs to mind? Free healthcare, hospitals, budget cuts, waiting times – the list is endless. Were you aware that in March 2017, across Hospital and Community Healthcare Services (HCHS), the NHS employed: 106,430 doctors; 285,893 nurses and health visitors; 21,597 midwives – that is a lot of people to organise, plan and keep a record of. 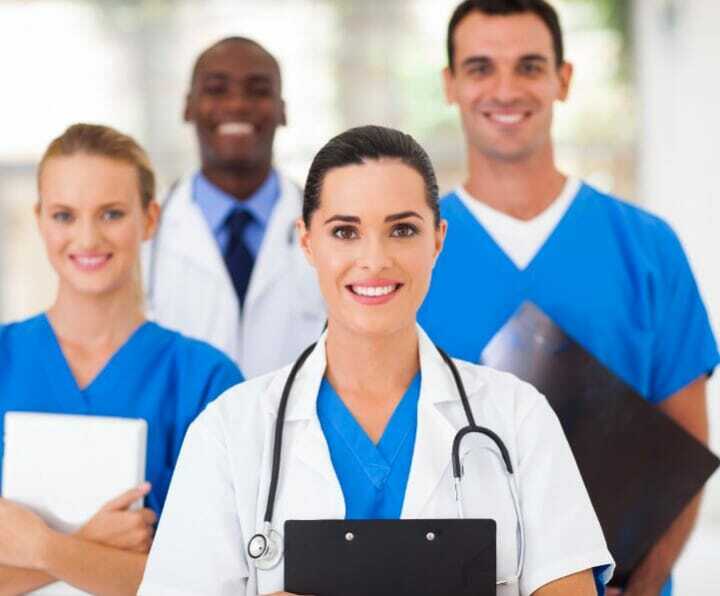 If you work in a healthcare profession within the EU you would have received a Nursing and Midwifery Council (NMC) or a General Medical Council (GMC) number. This number is unique to the individual and the above councils set the standards to make sure you have the correct qualities and skill set to be a nurse, doctor etc. As healthcare professionals are dealing with life and death situations, being organised and efficient is paramount to delivering results. Making sure the right person is filling out the correct paperwork is also crucial. This is why Stamps4u have designed stamps to assist healthcare professionals. Mobile and lightweight our Trodat Printy 4911 is suitable for printing your name and your number clearly on any paperwork. You can eliminate time, be more efficient and make sure your details are clearly legible for those processing paperwork. Our Mobile Printy stamp is ideal for those who are always busy and on the go. The clip allows you to attach it to your person and its closed cap means you can carry it about wherever you go. Coming in a variety of different colours it is our most popular nurse stamp. The Trodat Doctors stamp pen is a popular choice for doctors who are having to sign multiple prescriptions. This chrome pen is not only stylish in design but practical, coming with a stylus on top and the stamp built into the pens body. It really is a high-tech yet functional and practical addition to any GP's office. Our Doctor's Surgery Seal creates a perfect imprint every time and is used by doctor surgeries and dentist surgeries to authenticate documents and letters. The embossing design is made to your requirements, allowing for perfect display of company logos or trademarks. No matter what your requirements are, Stamps4u have the perfect solution.